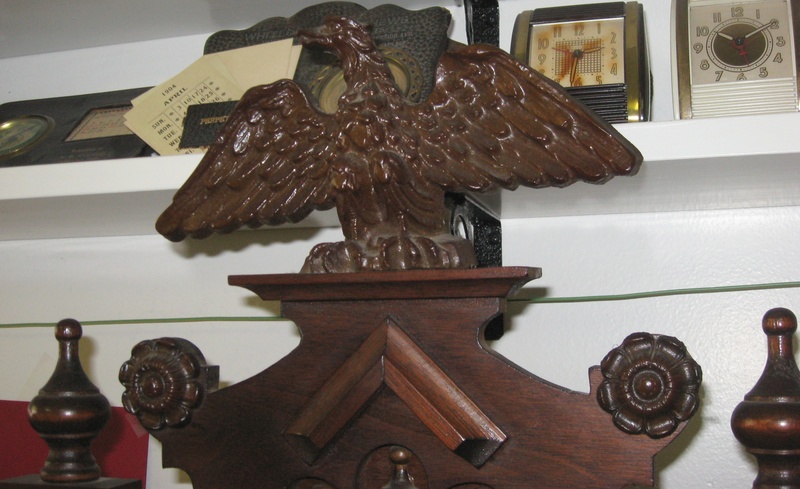 I recently repaired this German time and strike wall clock with eagle on top. It was made around 1880 – 1920. The case is 50 inches tall and 18 5/8 inches wide at the top. Job 6220. The movement was in pretty bad condition. Both ratchet gears needed replacing. Two pivots were severely worn and needed repivoting. Several pinions had bent or rusty wires and needed new pins. The time mainspring end was torn out. The verge needed to be closed to equalize the drops. 3 large ugly screw-in bushings had been installed by a previous repair shop. I polished the pivots and installed 14 bushings. Someone had soldered the fly to the arbor, I removed the solder and made a proper tension spring for the fly. 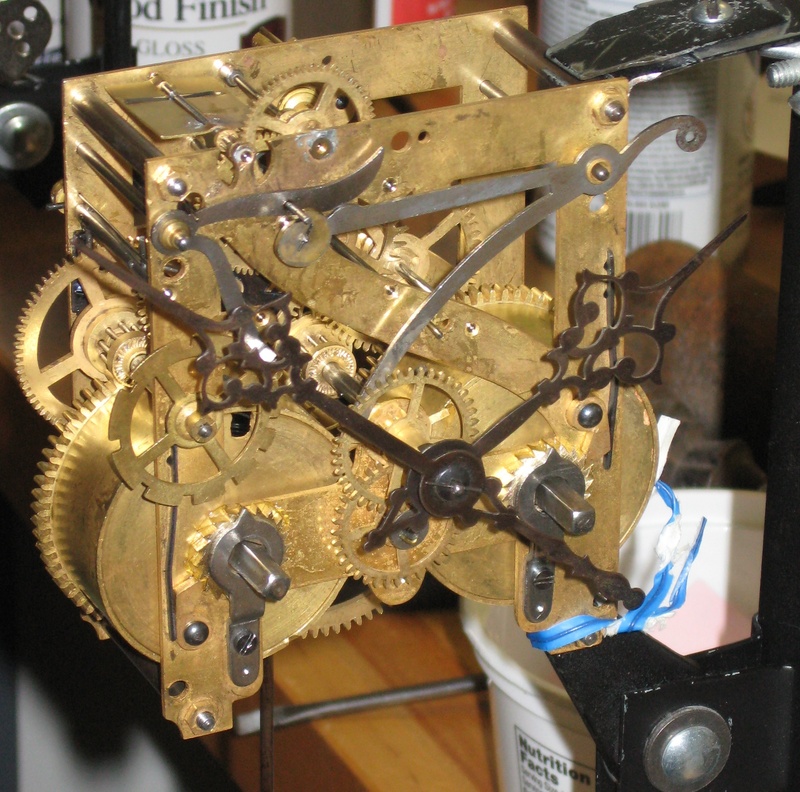 Previous Seth Thomas Adamantine Mantel Clock with Mainspring Broken in 22 Pieces! Next Seth Thomas Giant No. 3 Oak Kitchen Clock in Many Pieces!